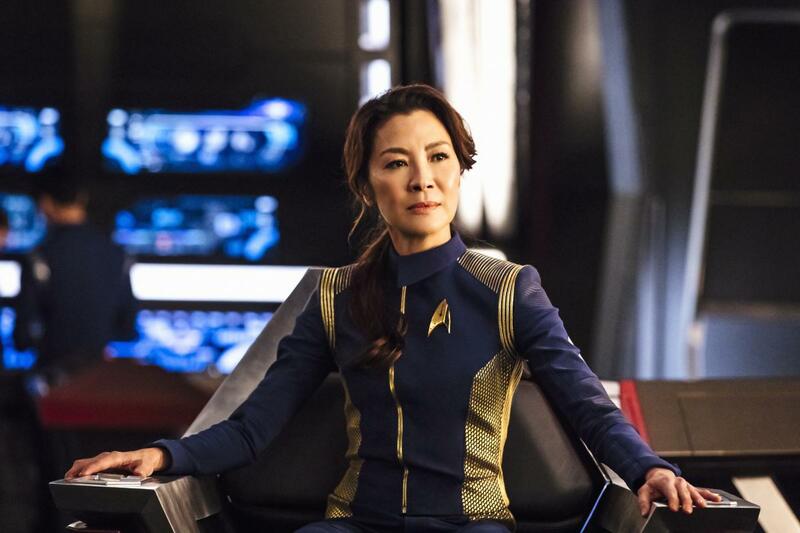 Michelle Yeoh interview on playing a captain on "Star Trek: Discovery"
Michelle Yeoh, who stars in the upcoming "Star Trek: Discovery," talked to CBSN about her role as Captain Philippa Georgiou, who helms the USS Shenzhou. Yeoh said she loves her character's warmth and optimism. "She is one who still has hope for humanity," explains Yeoh. "She believes very, very strongly there is goodness out there and we will always work from that point of view." Yeoh spoke of Georgiou's ability to lead the crew. "She's the father and mother of them. She trusts them implicitly because she will tell them what to do and navigate them into safety." "Star Trek: Discovery" star Sonequa Martin-Green on "upholding the legacy"
The actress also said that it means a lot to her to play a captain as an Asian woman. "It's a blessing to be given the opportunity, to make a stand and say, this is what's for the future. Whoever can do the job, just get it done. It doesn't matter if you're a man or woman or what race, because in the future, we are one race, we are human. We're from planet Earth and we work together and protect our home base like that." Yeoh pointed out that "Star Trek: Discovery" is set 200 years in the future. "All this will be a definite thing of the past," she added. Watch the video above to see what else Yeoh reveals about "Star Trek: Discovery."